For some reason, the editors at TGIF thought this guy might have had too much time on his hands. 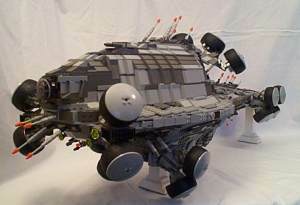 I mean, just because he constructed a Lego© model of the "Nebuchadnezzar Hovership" from the film Matrix? Then built a website to brag about it? Ya think?